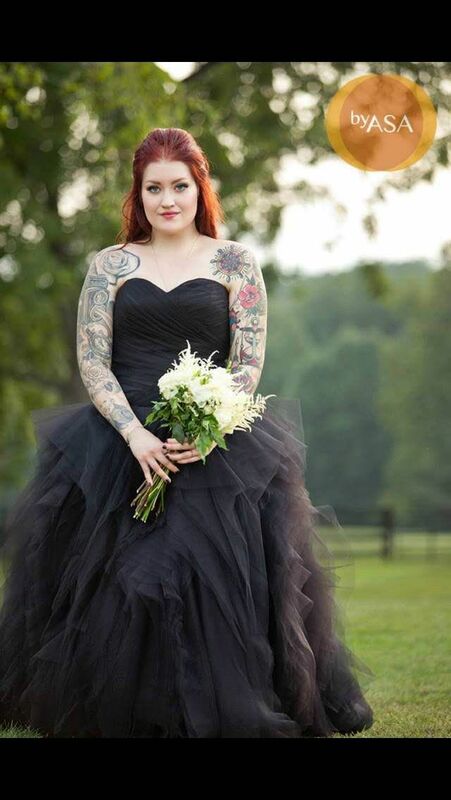 Black Wedding Dress with tulle. Designed with an interior Corset bodice and drop waist silhouette. Beautiful sweetheart neckline and fabulous pleating through the drop waist bodice. The incredible skirt is made with layers of fabulous tulle. Available with a Zipper or Corset back closure, which is $75 additional.